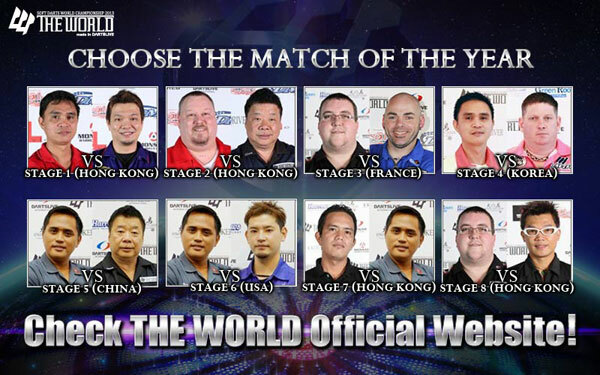 Home > 2013 > Event > THE WORLD > What is your best match of THE WORLD 2013? Vote for the best match of the year from each FINAL MATCH of STAGE 1 to 8 of THE WORLD! 1.Voting is available with Facebook app. 3.All voters will be entered in a drawing and 10 winners will receive a DARTSLIVE CARD signed by the 2 players of the selected match! The 2 players of the highest number of Likes will be commended at THE WORLD 2013 GRAND FINAL.